PROJECT A digital communication platform that covers the latest trends within sustainable business, innovation and lifestyle. WHAT IS IT? 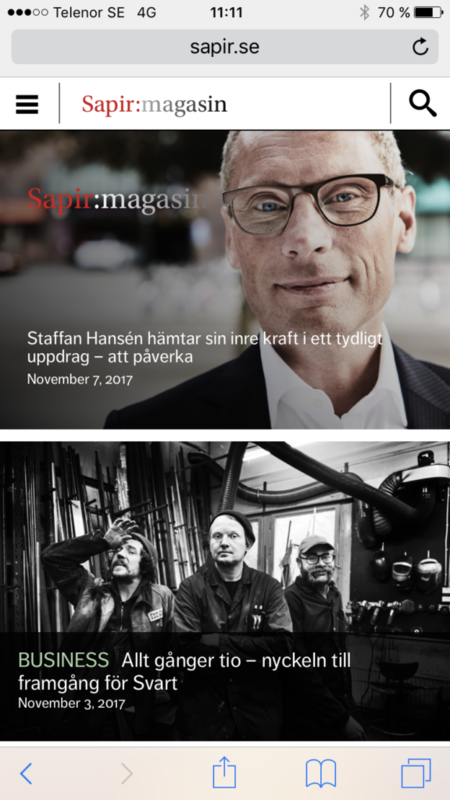 Sapir is a sustainable business and lifestyle magazine that places the renewable society in the nitty gritty of urban lifestyles. Stories about sustainable budenesses, positive change and people that changes the world. 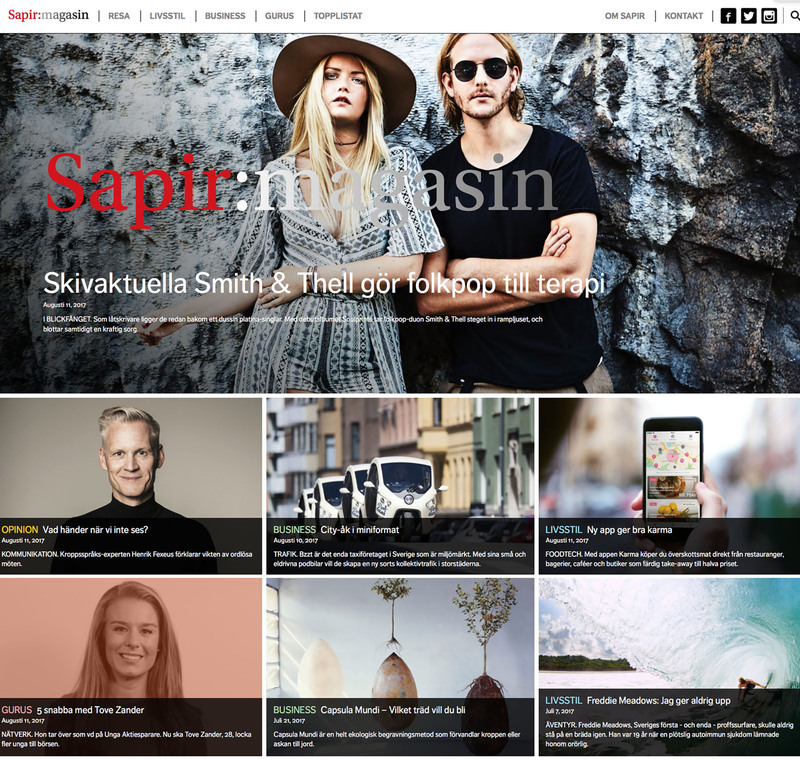 Sapir pics up the latest trends and news from the fields of entrepreneurship, innovations and sustainable popculture. A sustainable lifestyle is about a new modernism, awareness of quality and curiosity of new experiences. 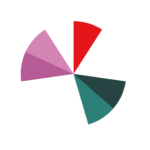 Sustainable private savings and investments supports the evolovement of sustainable businesses and the change towards a renewable economy with strong competitiveness and growth. VISUAL IDENTITY With a conteporary graphic design that builds around strong lifestyle images, we aim to inject a new visual identity to the sustainable lifestyle segment of consumer products. Sapir wants to show a different way of experiencing sustaiable consumer products and experiences. 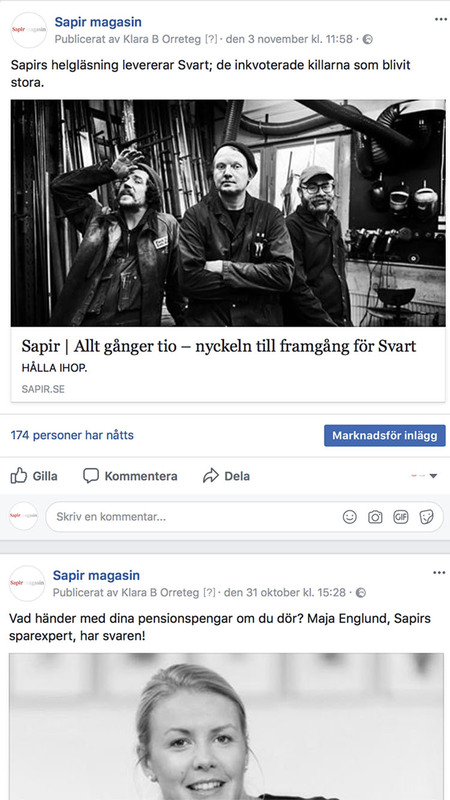 IN USE Since the release of the first issue in February 2015, Sapir has had a 100 % organic growth with 145 250 uniqe readers and alltogether they made 314 917 pageviews. 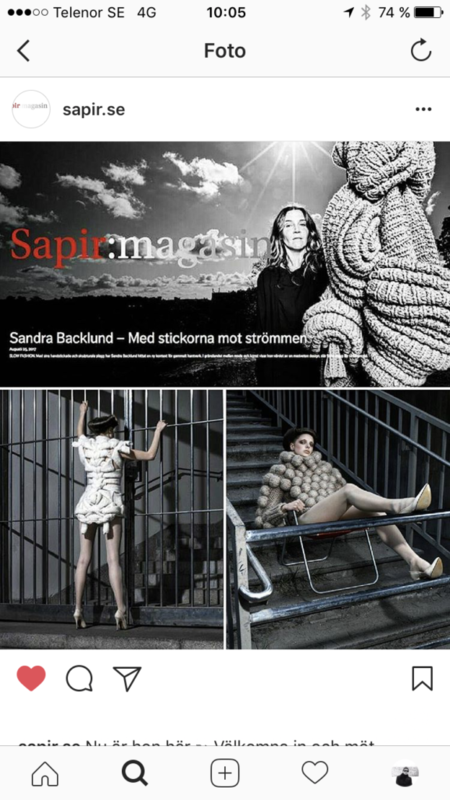 Sapir is a unisex magazine with the demographics of 40% men and 60% women between 25-45 years old.